This topic contains 10 replies, has 9 voices, and was last updated by anonymous 3 weeks, 3 days ago. I think it’s unreasonable to expect MS beta-testers to test for bad effects on every obscure app and manufacturer. Like Dell–a minor player. What percentage of the market do they have: 60? 70? Where do you draw the line? I buy my Dell machines (currently have 2 – one running Windows 8.0 Pro and the other Windows 10 Pro) from Dell Small Business. This problem does not apply to the machines I have. The post needed a bit of precision. I have a Dell Latitude, but I do not think it comes with “Dell Encryption”-had this machine for about 14 months…is it an option or something? One thing that repeatedly comes to my mind when I read this site is that I would like to see specific confirmation of what the WinVer tool will show with the worrisome update. 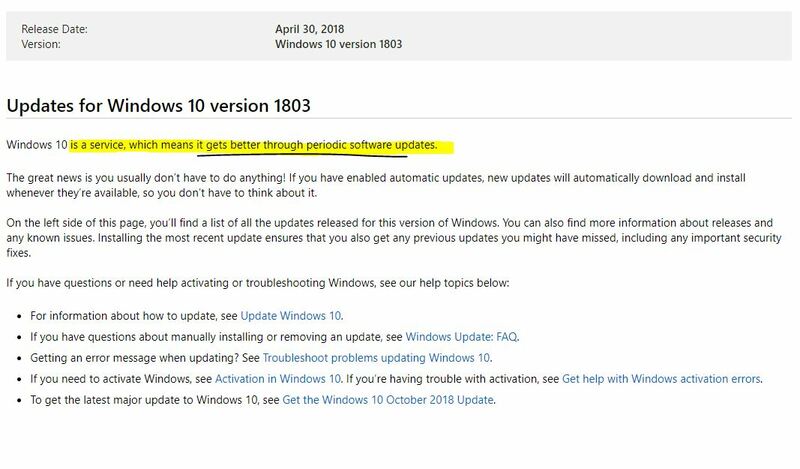 Imagine that the reader may be somewhat successful at keeping Windows Updates out, but may not be tracking rigorously what update has been installed or what version the update brought his/her system up to. What is the Windows version – i.e. 17763.??? – that represents “this month’s Patch Tuesday”? Is there a table somewhere being built showing what version number was delivered by what update? The Windows 10 History page shows Patch Tues version and Build numbers. Here’s a PowerShell script that will return the appropriate information and copy it to the clipboard so it can be incorporated into posts. I have to give credit to @RickCorbett as the original concept and research was done by him in his excellent AutoHotKey script. I just translated that work into PowerShell for those who don’t use AutoHotKey. Note: I spent time today getting the table up to date. That’s the hardest part of doing this type of thing is keeping it up to date. I used a Hash Table to store the version/kb info so it should be relatively easy for anyone who is interested to keep it up to date using PKCano’s link above. Thanks again for this script. 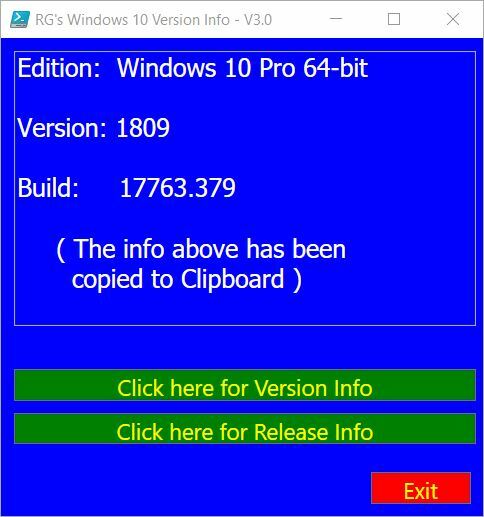 Speaking of versions, the Master Patch List continues to show that KB4487000 is the March Quality update issued 3/12/19 for W8.1. The correct update is KB4489881 which was issued on said date. Am I missing something?